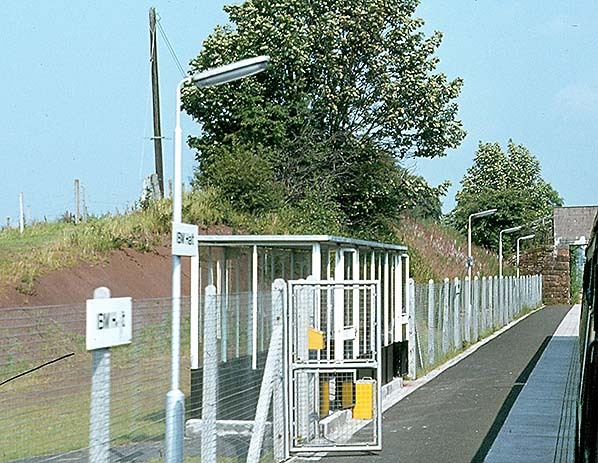 Notes: Clinging to the south slope of Spango Valley on the Glasgow-Wemyss Bay line, IBM Halt was opened on 9 May 1978 by British Rail to serve what was at that time a thriving IBM computer manufacturing plant employing over 4,000 people. 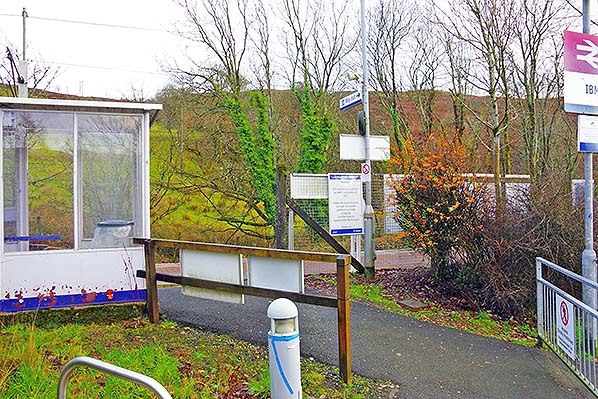 Originally, the stop was unadvertised and only peak time services stopped there, but subsequently, despite the decline in the fortunes and working population of the plant, the facility was publicly advertised and all but one service made the stop. As the name suggests, it is located within the confines of a large facility formerly owned entirely by IBM, a former major employer for the town of Greenock. Parts of the site were sold off to companies such as Sanmina-SCI and Lenovo, which have now closed. By June 2009 half of the buildings had been demolished and the site was rebranded as Valley Park. Despite this, there were no plans to change the station name. Due to its location away from major housing areas and other transport links, the station was used primarily by people employed in Valley Park, but access to the station and its services by the general public was possible. 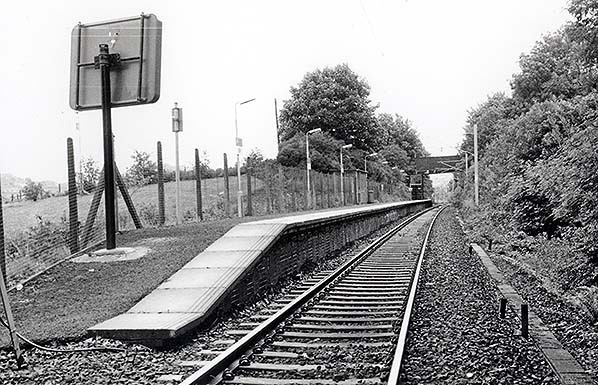 The term 'halt' had been removed from British Rail timetables and other official documents by the late 1960s except in the Scottish Region which continued to call five of its public stations 'Halt' in timetables into the 1980s. Rogart lost its Halt suffix in May 1982, and the other four - Balmossie, Carfin, Golf Street and Rosyth - as well as IBM, which was still omitted from public timetables, lost the suffix a year later. The return of the suffix came in 2008 with the renaming of Coombe Junction and St Keyne Wishing Well on the Looe Valley Line in Cornwall. Patronage dropped from more than 100,000 annually to fewer than 6,000 over a five-year period. The last part of the IBM factory closed in September 2016 leaving no other commercial activity in the area, the station however remained open. 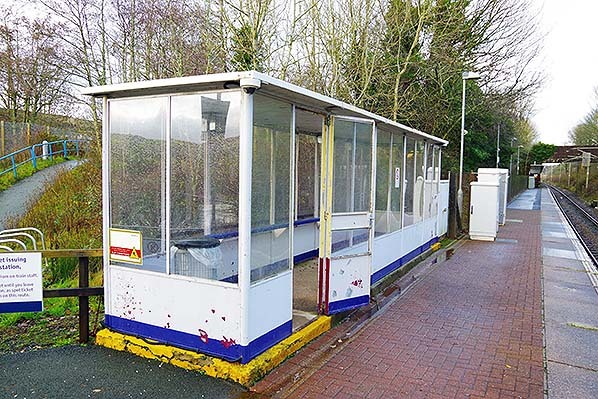 IBM closed on 8 December 2018 with ScotRail citing low patronage and anti-social behaviour on the nearby derelict IBM site. Since the closure of the site, the police have been having to deal with an increasing amount of anti-social behaviour at at the derelict site. 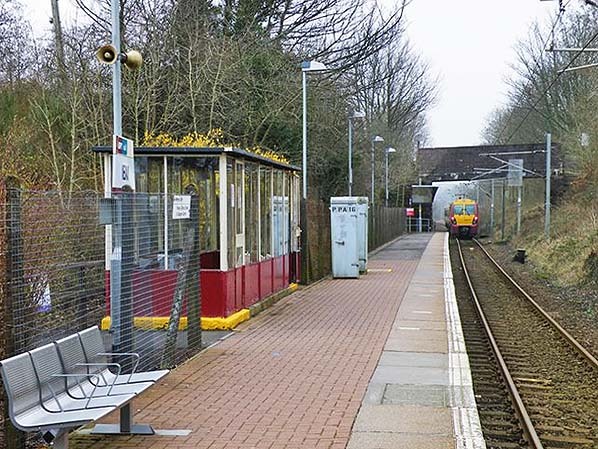 The theory is that closing the station would remove the easy access to the site and therefore reduce anti-social behaviour. The closure announcement was made by posting a small banner on the information page for the station on the ScotRail website. One also appeared on the National Rail Enquires website a few days later. At the time of closure there were on average two passengers a day. The station may re-open once the site is rebuilt, although there is no fixed timeline for this to happen. 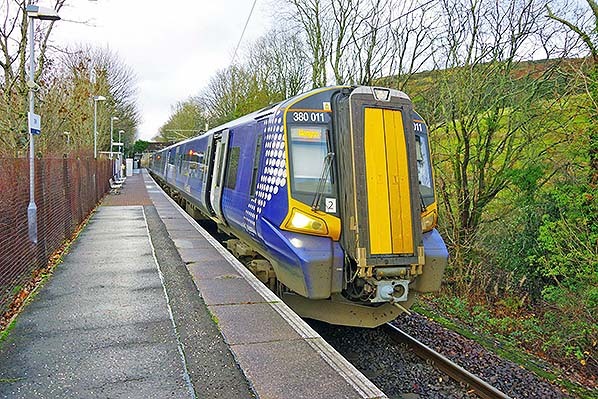 The current timetable will remain largely unchanged and there will be time between the stations before and after IBM that would allow trains to call again at the station should the IBM site be redeveloped At the time of its closure, it was served by a daily hourly service on the Inverclyde Line between Glasgow Central and Wemyss Bay and was 25½ miles west of Glasgow Central. Tickets still showed IBM Halt until closure although the 'Halt' suffix was dropped from the name in the 1983. 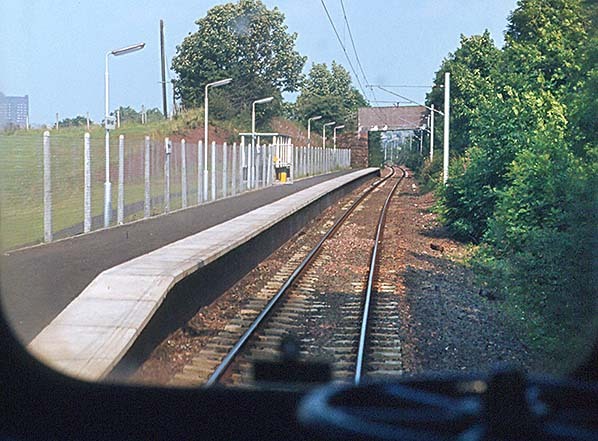 IBM Halt seen from a passing EMU in August 1979, 15 months after the halt opened. 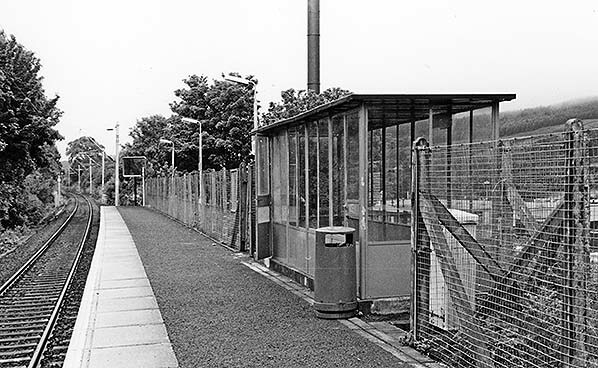 IBM Halt seen from a passing EMU in August 1979, note the high fence and secure lockable gate. 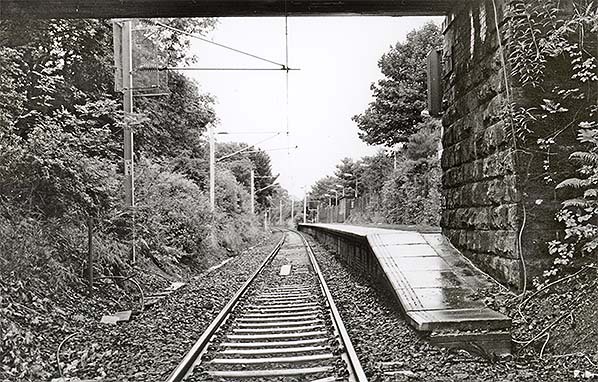 Looking north-east towards IBM station in July 1988. the 'halt' suffix had been dropped in 1983. IBM can just be made out on the sign on the closest lamp post. IBM was provided with a fairly large bus shelter style enclosed waiting room. Looking south-west from beneath the accommodation bridge at the east end of the station in July 1988. The bridge dates from the opening of the Port Glasgow to Wemyss Bay line in 1865 and would have been used for moving livestock from the moors to the south of the line. Looking north-east as Glasgow Central bound class 334 EMU No. 334017 pulls out of IBM station in March 2009. 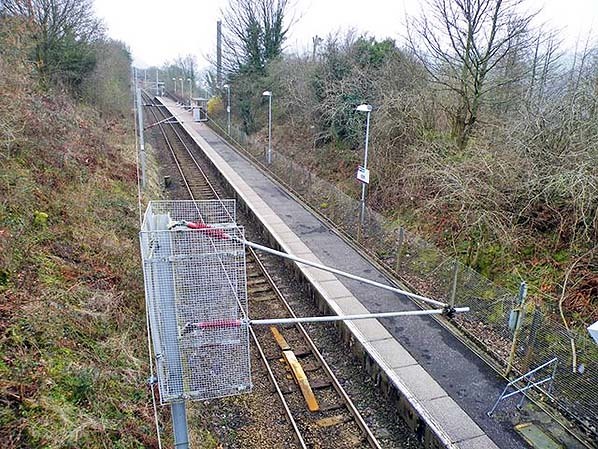 IBM station looking north-west from the old farm accommodation bridge to the east of the station in March 2009. 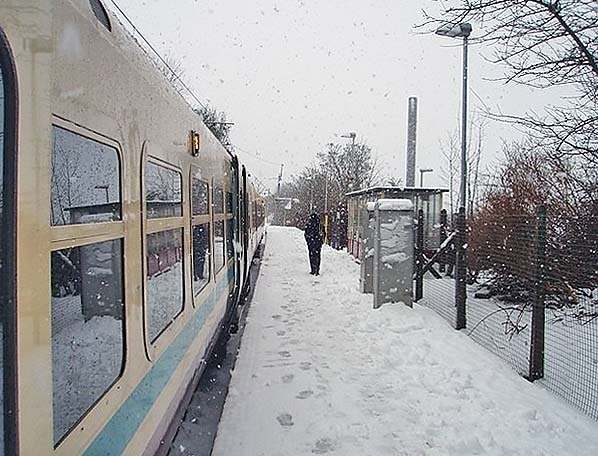 A lone passenger alights from a Wemyys Bay bound EMU and trudges off through the falling snow towards the exit in February 2010. Refurbished Class 314 EMU No. 314212, in the new ScotRail saltire livery, pulls out with a service from Wemyss Bay to Glasgow Central in August 2011. On 4 May 2018, the last day of public service class 314 No 314205 leaves IBN station bound for Wemyss Bay. The EMU is in the old old Strathclyde livery. IBM station looking north-east on 29 November 2018, 10 days before closure. 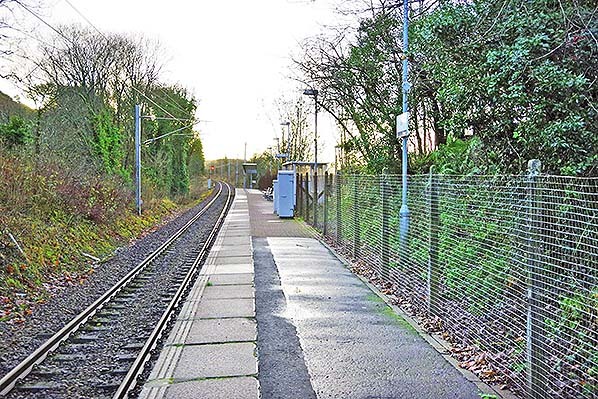 The secure locked gate seen in earlier photos has gone and the station is now open access. Access is from a private road w3ithin the former factory. IBM station entrance in November 2018. Class 380 EMU No 380011 wait at IBM station with a Wemyss Bay service in November 2018. 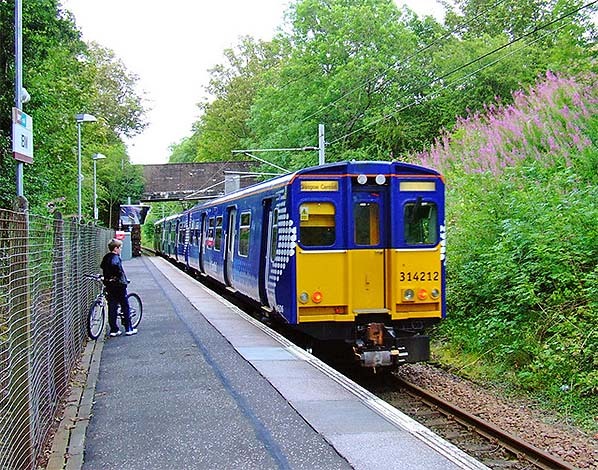 At the time of closure Class 380 and aging 314 introduced in late 1979 provided the service on the Wemyss Bay branch line. IBM station looking south-west in November 2018. Class 314 EMU No. 314216 arrives at IBM on 8 December 2018 forming the 23:48 service to Glasgow Central. 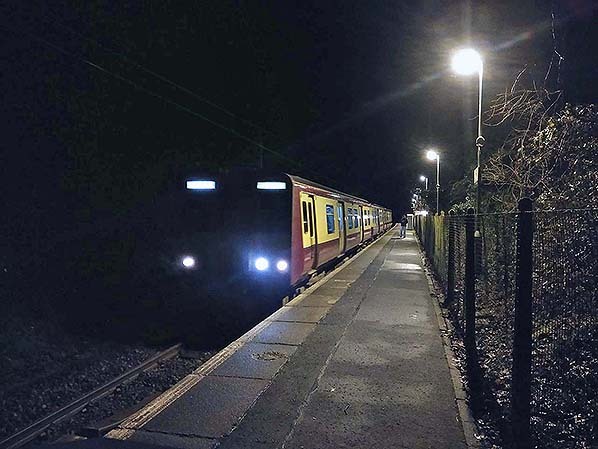 This was the last passenger service to stop at the station. Many stations have large numbers of enthusiasts boarding the train; at IBM there were two including the photographer! 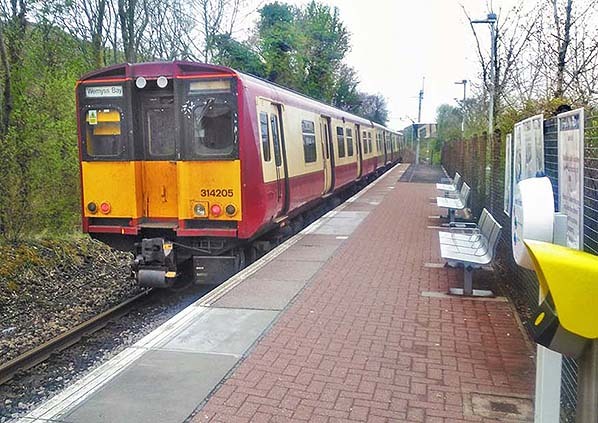 The Class 314s are due to be retired in 2019, when delivery of Class 385s allows for the Class 318s and Class 320s to be used on to lines previously operated by the 314s.